Audi Sport customer racing will be present in the world’s largest sales market. Starting in 2012, the Audi R8 LMS Cup as an exclusive one-make racing series will underscore the company’s leading position in the premium segment in China. Audi Sport customer racing China will be responsible for the operational activities. In 2012, Audi is setting a milestone in China’s still young motorsport tradition. The world’s first exclusive one-make cup for the Audi R8 LMS will be held in the fast- growing Chinese market. In October, with a growth rate of 61.7 percent compared to the same period of the prior year, Audi experienced a new record month in China. The next top performance followed in November, reflecting a 68.8 percent increase compared to the same prior-year month. 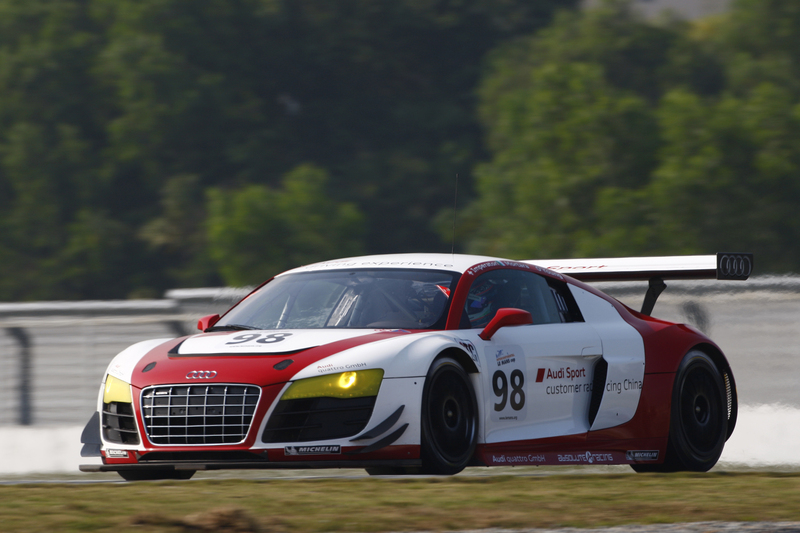 Audi Sport customer racing China will be responsible for organizing the one-make cup. This new structure experienced an extremely impressive debut. At the finale of the Intercontinental Le Mans Cup (ILMC) at Zhuhai the race team celebrated a one-two victory in the GTC class with the Audi R8 LMS. A week later, at the Macau GT Cup, Edoardo Mortara won an extremely challenging city street race in an Audi R8 LMS fielded by the team. Audi through its Audi race experience China opens up the opportunity to contest races in professional conditions to the motorsport enthusiasts among its customers. The complete packages available to gentlemen drivers include everything a racer needs, from license training and the ready-to-run race car through to the organizational structure.